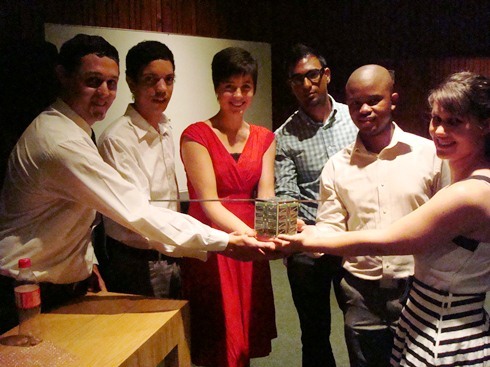 The Southern African Amateur Radio Satellite Association (SA AMSAT) report that after launch DynaCube, a one-unit CubeSat being constructed by Interns at the Denel Dynamics Engineering Academy, will be exploring the South Atlantic Anomaly during orbits over the area. It is hoped the Cubesat will launch in late 2013 or 2104. SA AMSAT say the cost of a launch for this 1U CubeSat could be as high as 1,300,000 Rand (£92,000 or $140,000). The South Atlantic Anomaly (SAA), off the coast of Brazil, is an area where the Earth’s inner Van Allen radiation belt comes closest to the Earth’s surface dipping down to an altitude of 200km This leads to an increased flux of energetic particles in this region and exposes orbiting satellites to higher than usual levels of radiation. The effect is caused by the non-concentricity of the Earth and its magnetic dipole. The South Atlantic Anomaly is of great significance to satellites and other spacecraft that orbit the Earth at several hundred kilometres altitude; these orbits take satellites through the anomaly periodically, exposing them to several minutes of strong radiation, caused by the trapped protons in the inner Van Allen belt. The team, all engineers who graduated from various universities in South Africa, spent last year working on the project to gain practical experience before they are assigned to various departments in the company. The Interns were tasked with designing, manufacturing and commissioning a 1U Cube Satellite and its associated ground support systems. All systems have been tested and are now ready for integration. Although the Interns have come to the end of their year and will start their careers in various departments of Denel Dynamics, they are dedicated to complete the project in their free time. 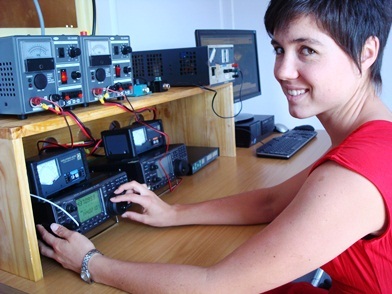 Currently three of the group have obtained their amateur radio license. DynaCube will operate on Amateur Radio frequencies which were coordinated by the IARU Amateur Satellite Advisory Panel with a downlink of 145.980 MHz, an uplink on 435.050 MHz and a tracking beacon on 145.840 MHz. On December 6, 2012 Engineering News reported: A number of launch options are under consideration. In all cases, the Cubesat would be launched as a secondary payload. American, Indian or Russian rockets could be used. The lowest cost for such a launch would be $1-million (not including the cost of DynaCube itself). The company cannot afford this itself. Options under consideration are to approach the Department of Science and Technology, and/or the Department of Trade and Industry and/or the Department of Defence, or appealing to the public for “crowd funding” through the Internet.